Bring your bike into our retail location for an on the spot appraisal. 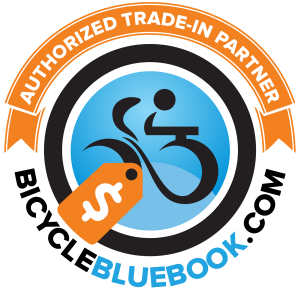 Bikes that qualify are bike shop caliber bikes, the model year 2000 or newer. The trade in value of your used bike will be converted to Store Credit, which can be used towards another bike or ANYTHING ELSE IN OUR STORE!